New! 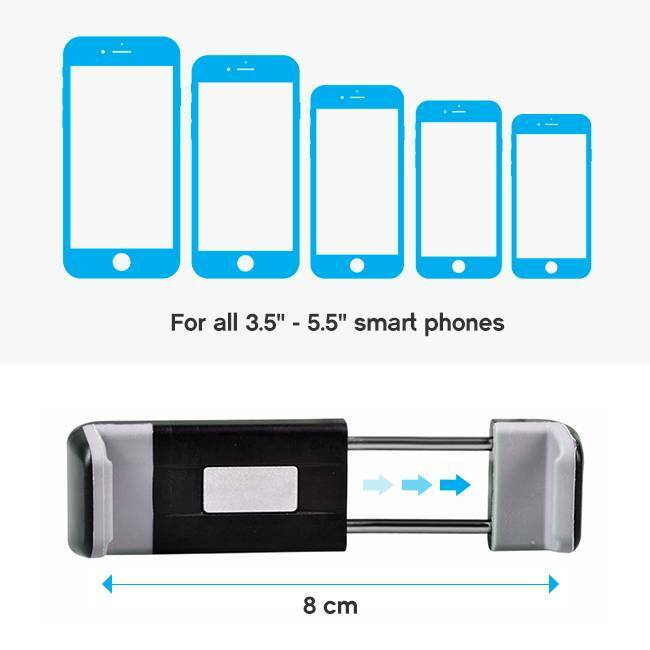 The hands-free solution for your phone! 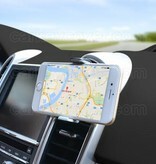 A well-known problem is in the car; 'Where do I leave my phone during navigation or a phone call?' The solution is simple but efficient. 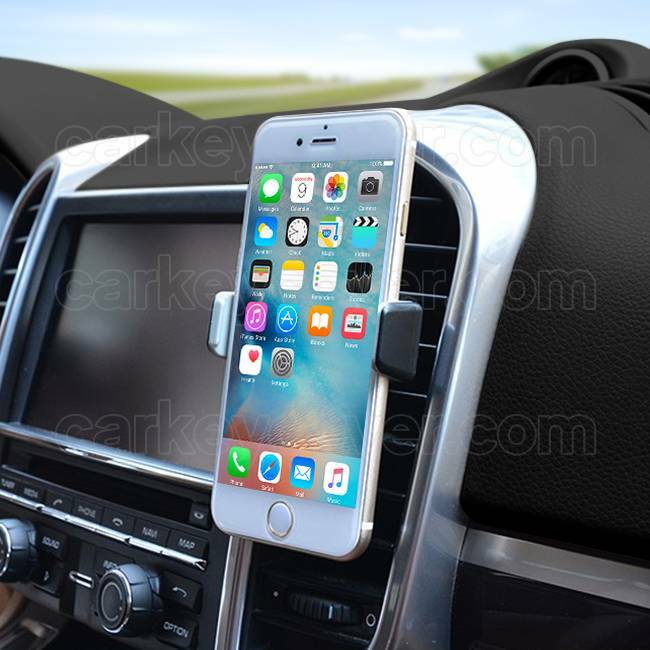 The phone holder is attached to the air vent, providing you with a perfect view of your phone and your view is unobstructed by for example a suction cup on your windshield. 1. 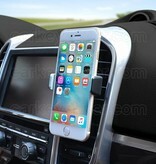 Simply slide the phone holder onto your car's air vent. 2. Attach your phone to the cradle. 3. 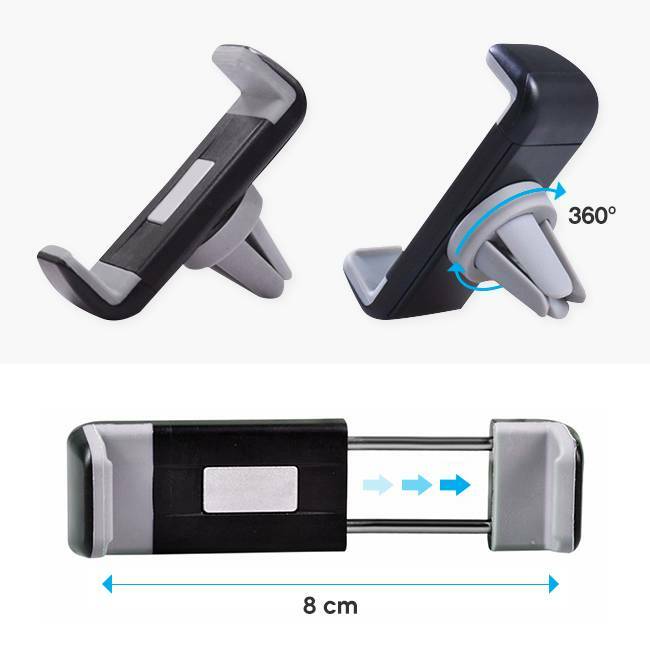 Rotate the phone holder to either a horizontal or a vertical position. - The phone holder is universal, for all phones up to 5.5"
- You can continue using the air conditioning! The phone holder is ideal for navigation with your phone!